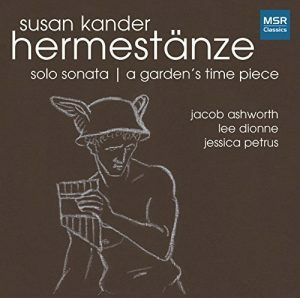 MSR Classics has just released this album featuring three wonderful musicians: Jacob Ashworth, violin; Lee Dionne, piano, and Jessica Petrus, soprano. I am immensely honored to have worked with these extraordinary artists. The title work, commissioned by Jacob Ashworth for violin and piano, is a 30-minute dramatic cycle based on the multi-faceted Greek god Hermes. Solo Sonata for violin-viola-violin was my first commission immediately following 9/11/2001; structured as a “feast-famine-feast” cycle, it features virtuosic outer movements for solo violin with a deeply felt Lament between them. 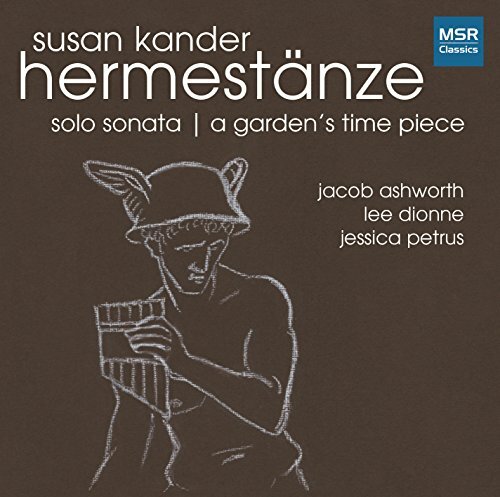 A Garden’s Time Piece is a brief cycle for violin and soprano setting poems of Leslie Laskey.